Announcements 6: I need your help! Firstly, thanks for reading this blog. It means a lot to have your continued support and now I do feel as if it is much more than just a hobby. 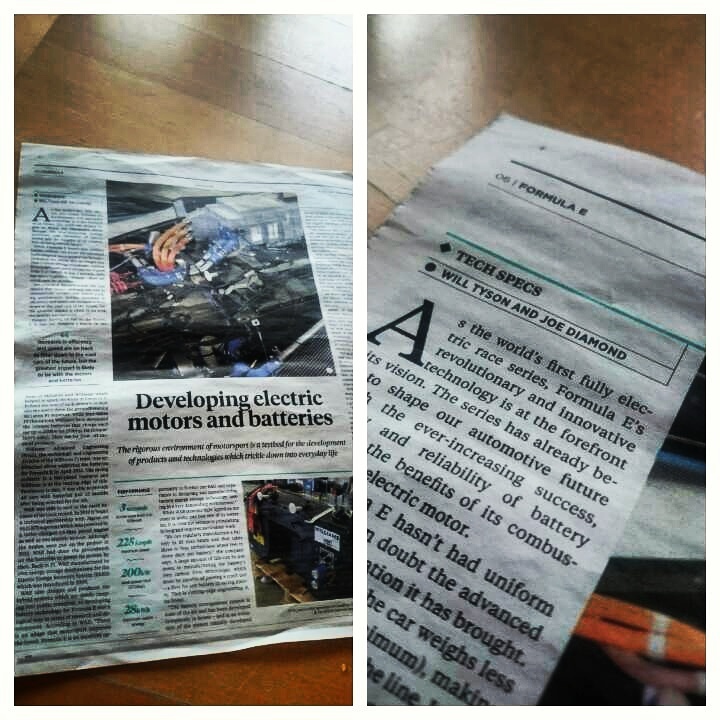 Last month I co-wrote an article with Joe Diamond on tech in Formula E for The Times, and it was really cool to see my name in a national newspaper. You can read the online version here, but I’ll post a picture anyway because, why not? If all goes well I will continue to contribute towards the newspaper in some form, either online or in the paper itself. It’s pretty exciting, and I honestly did not think this blog could lead to something like this, so thank you. Hopefully there will be other opportunities in the future to showcase my work, which improves constantly with every piece I do, whether that be on my blog or another outlet. Secondly – and most importantly – I need your help. This is another future project that I’m looking in to and it would be great if you could visit illustratedtech.com and fill in the quick questionnaire. If you follow me on social media (all in the ‘About’ section on my blog) then stay tuned, as I might release some details soon but I can’t say much at the moment. It’s collaboration with someone who has been in the F1 engineering industry for some time and it’ll be something not exactly unique, but very much a fresh take on displaying information about a very complex subject. It’s about Formula 1 by the way! Please visit the above link, and look out for updates in the future! This entry was posted in Announcements and tagged 6, announcements, illustrated tech on July 10, 2015 by thewptformula.